I’ve been craving cabbage like crazy since a friend mentioned corned beef with cabbage to me a few weeks ago. But it’s not really the corned beef I’m craving at all, but the cabbage. I thought about doing stir-fried cabbage, a raw cabbage salad, and all kinds of other interesting and not-so-interesting combinations (cut a girl a break… it was almost 5pm and I was at work, starving). 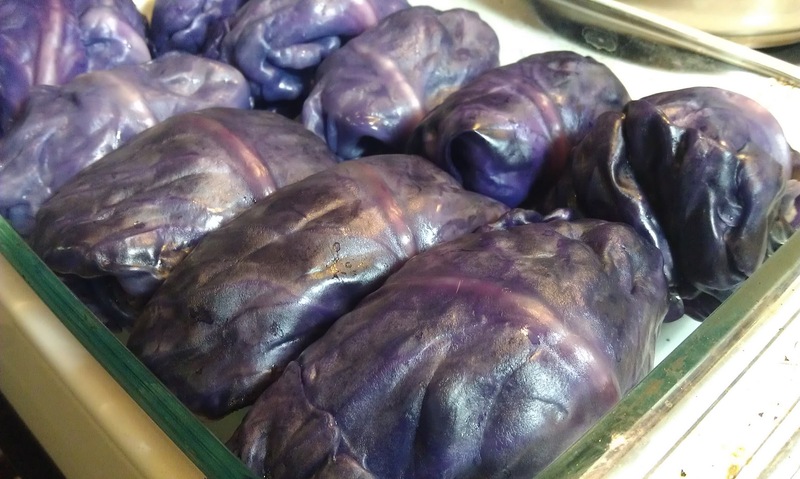 I decided to use what ingredients I had floating around in my fridge to do a cabbage dish that took care of the leftovers as well as made for a delicious gluten-free, soy-free, low-amine stuffed cabbage meal. In my case, I used leftover prime rib that I had made a few days prior as the meat, but feel free to use your own meat of choice (pre-cook your meat of choice to rare if it is still in raw form). Boil a pot of water large enough to dunk the entire head of cabbage. Cut out core of cabbage with a paring knife. 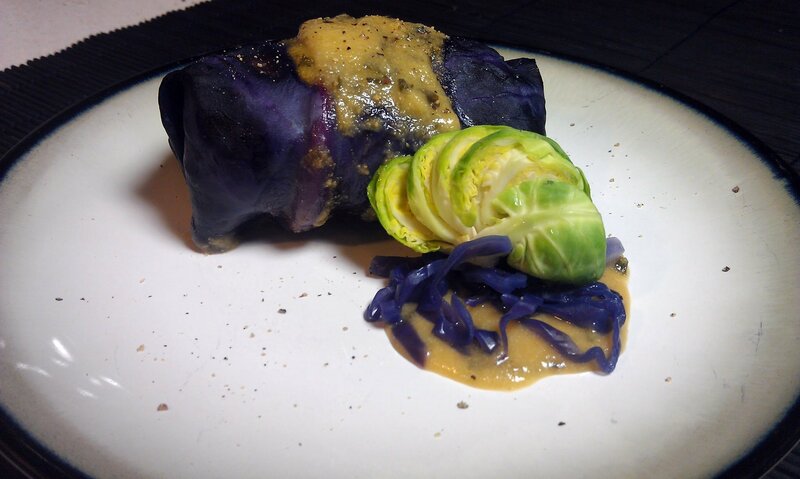 Core cabbage with paring knife. Please be careful not to cut yourself! 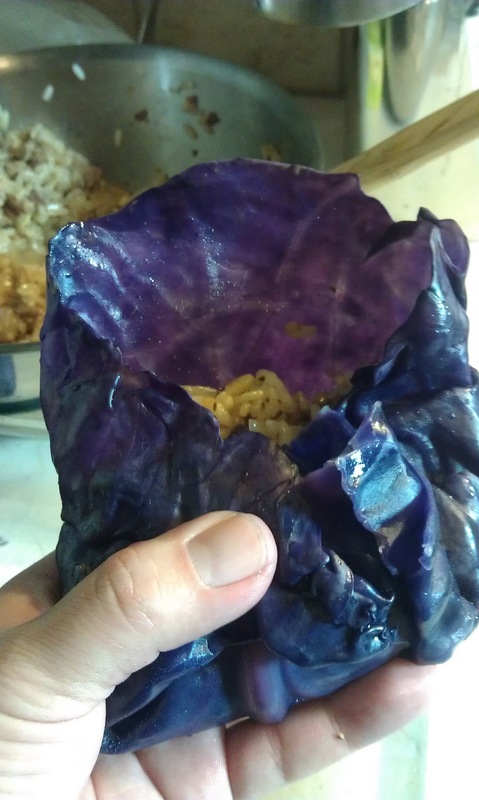 When water is hot, put cabbage in. Using tongs, peel away layers as they cook and become quite pliable. Set leaves on a separate plate to cool. Chop onion and saute until lightly caramelized. 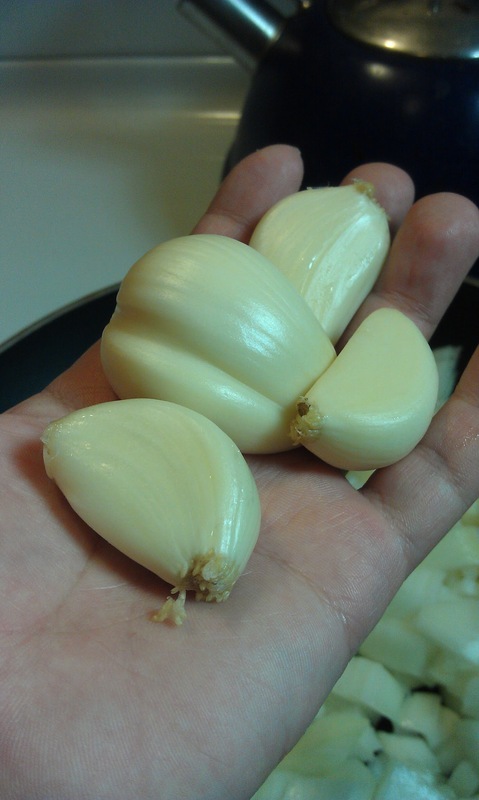 Add garlic and spices and cook till garlic is fragrant. Remove from heat. Dice meat (or chop and cook it till rare, if still raw) into very small pieces. In a large bowl, toss cooked rice and meat together until well mixed. Add onion and garlic, egg, parsley, and stir until well mixed. Wrap a little less than 1/2 C of the mixture into each cabbage leaf, folding in the ends (like an envelope) and setting them in the Pyrex pan seam-side down. 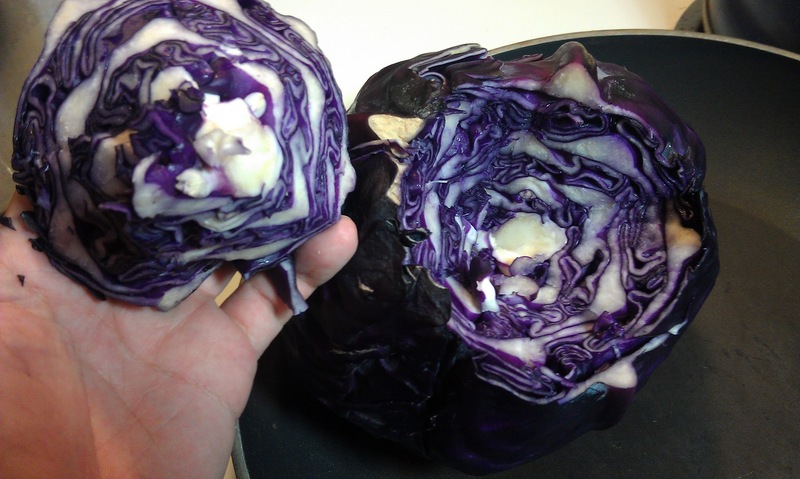 Fold stuffing into cabbage like an envelope. Set them in fairly snugly so they support each other and don’t fall apart during cooking. Once your cabbage is set up and while the oven is preheating, make your sauce. Add the butter and flour to a small pan on medium heat. Melt butter and cook flour, stirring consistently, for about four minutes. Add garlic powder and chives, stir in quickly, and start adding the broth. Add broth a little at a time, stirring all the while, until all 1 1/2 C broth are mixed in. Add salt and stir well. Remove from heat. Pour half the sauce over the rows of stuffed cabbage, and put the stuffed cabbage in the oven, covered, for 40 minutes. 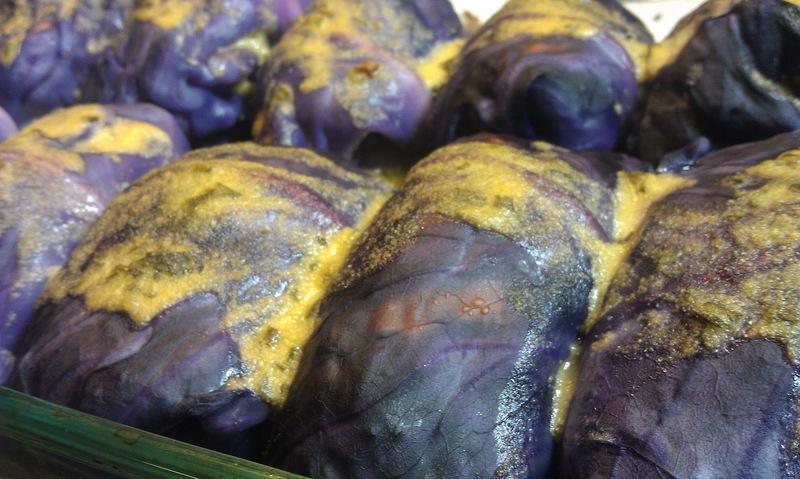 Allow stuffed cabbage to cool for 5 minutes before handling. Once cooled, add a little bit more sauce over the top of the stuffed cabbage (or add sauce while plating – it’s up to you) and serve.